Harman’s Expanded Scalable Infotainment Offerings For Entry Segment Infotainment Solution Provides Upgradeable And Adaptable Platform For Vehicles Globally. 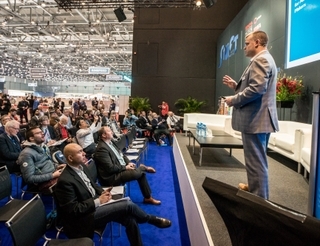 GENEVA MOTOR SHOW 2015 – HARMAN released its expanded scalable embedded infotainment platform at the 2015 Geneva International Motor Show. The offering addresses the full spectrum of vehicle segments, including entry- to mid-level cars, with a feature-rich, automotive-grade platform that leverages the latest smartphone integration technologies such as Apple CarPlay, Android Auto™ and MirrorLink for best-in-class connectivity for the world’s automakers. Using the latest multi-core system-on-chip hardware, the platform is designed using a flexible Linux OS framework. It leverages today’s smartphone experiences, including CarPlay and Android Auto, and supports MirrorLink integration for familiar and simple use of popular mobile applications. To support a dynamic visual dashboard interface, the platform includes a 6.5- or 7-inch WVGA touch display with 800×480 resolution. The user experience is further enhanced with integrated Bluetooth telephony, voice echo cancellation and noise reduction, and CAN bus interfaces for ECU and steering wheel button controls. HARMAN has also ensured that rearview backup camera support is part of the standard platform offering, and supports the latest U.S. Federal Motor Vehicles Safety Standards and Regulations. 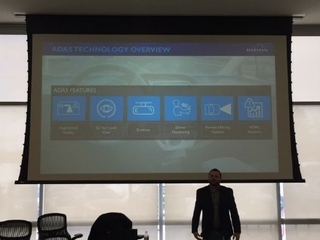 HARMAN’s Aha Analytics, which aggregates and analyzes information collected through opt-in data sharing from the car’s infotainment and on-board diagnostics, can also be integrated. The generated vehicle data can support a wide array of applications, including reliable safety and lost vehicle services, location services and even remote vehicle diagnostic monitoring capabilities. This software-rich platform can also be kept up-to-date and future-proofed via HARMAN Cloud Services over-the-air (OTA) updates. For automakers seeking to offer a more enriched user experience, HARMAN’s scalable platform offers a number of design options to enhance connectivity, driver safety, usability and enjoyment. Connectivity can be enhanced with WiFi support and display options can be scaled to support multi-touch and swipe capabilities as well as 720p HD experience with 1280×720 resolution. Safety and convenience features can be added including on-board 3D navigation and speech recognition. As the industry leader for in-car audio solutions, HARMAN also included several music and audio features into the new scalable platform. Device connectivity is supported via a USB port with up to 2.1A charging in addition to a standard auxiliary stereo audio input jack. Best-in-category audio support includes an integrated amplifier, AM/FM tuner with scan diversity and off-band TMC capability. For a more premium experience, automakers can also choose to offer a wide range of audio options ranging from SD card slots to satellite radio extensions. HARMAN’s revolutionary Clari-Fi™ audio restoration technology can also be supported for a premium audio experience throughout the vehicle cabin. HARMAN’s scalable platform is adaptable to a variety of vehicles ranging from entry to lower mid segment, and provides automakers with the best feature-to-cost ratio, with a range of options that meets virtually all global market-specific requirements. HARMAN’s entry-level infotainment solution is available to automakers immediately. The convenience of today’s portable electronics and in-car technologies like navigation, hands-free calling and Bluetooth connections have dramatically altered how we drive and what we hear in a car. Navigation prompts and phone calls interrupt our music. Audible entertainment and vehicle alerts all add to the in-car sonic clutter created today. 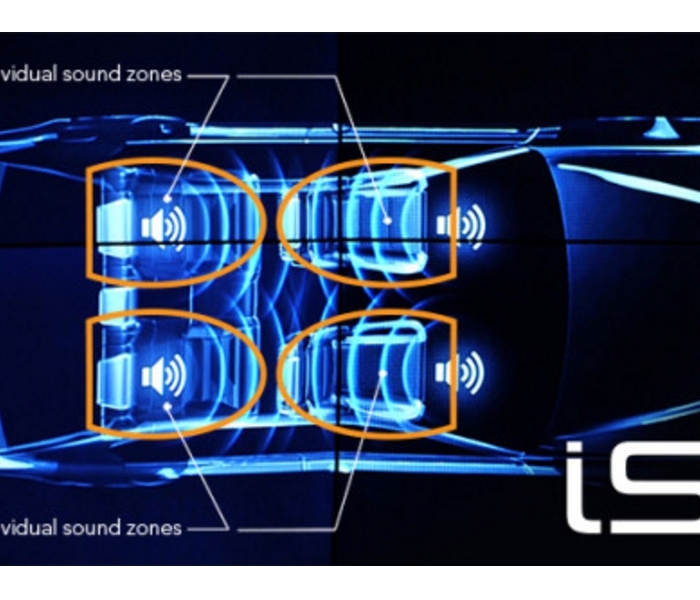 ISZ (Individual Sound Zones) remove that clutter, creating individual listening zones for each passenger. 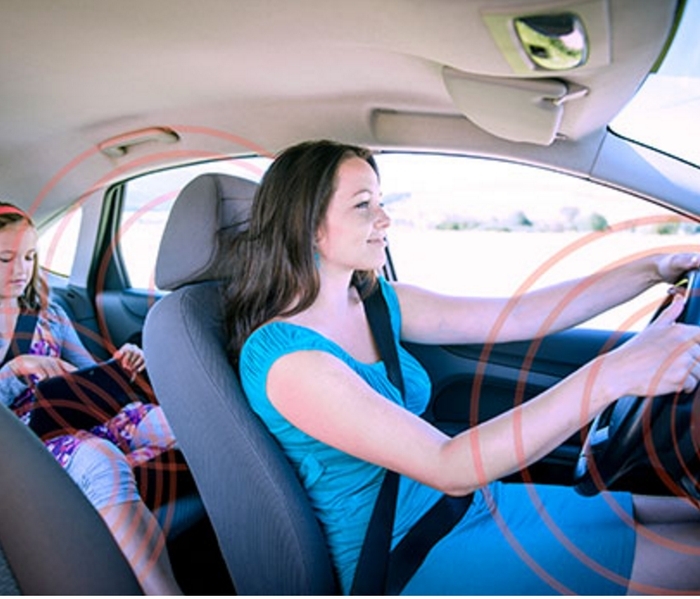 This groundbreaking technology enables passengers to personalize their own audio experiences with limited disruption or interference from other vehicle occupants. 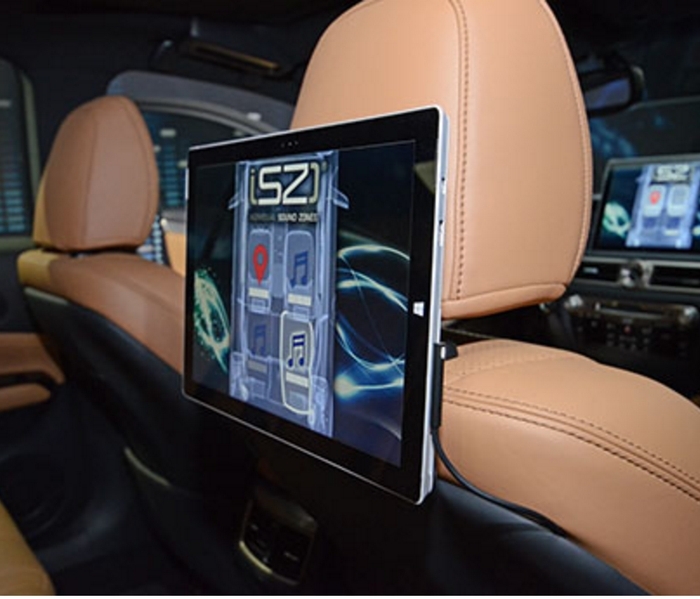 HARMAN’s ISZ is the ultimate car audio upgrade—the introduction of virtual, simultaneous, in-car entertainment systems. 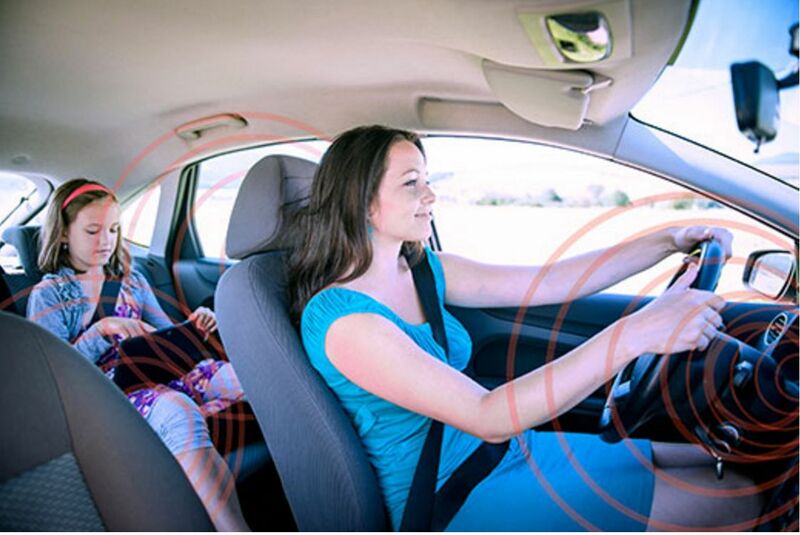 It is liberating and empowering, as it gives each passenger complete control over their listening preferences. Standard car audio speakers are able to achieve good control of the wave field, but only at low frequencies due to the modal characteristics of the car interior. To achieve personal listening zones over a broader audio bandwidth, it is necessary to introduce additional speakers positioned in closer proximity to the occupants’ heads. 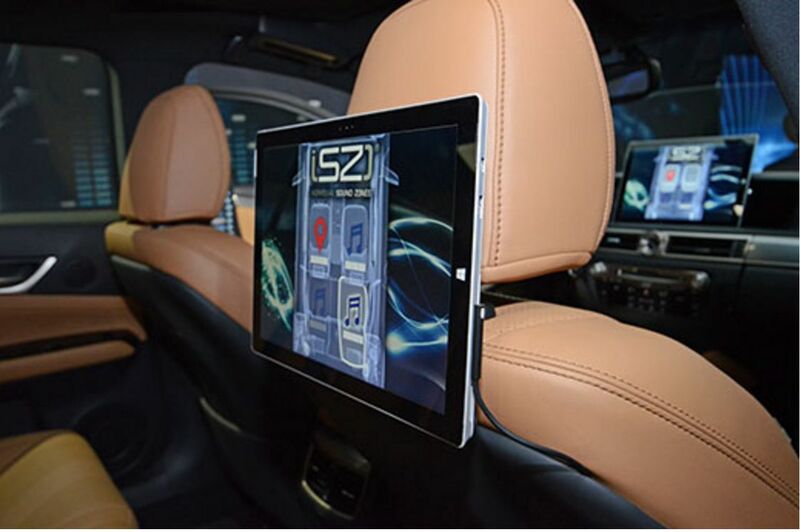 This has been achieved by positioning two small but powerful speakers with micro-speaker technology at each headrest. The active system comprises the headrest speakers and standard car audio speakers to enable modification of the wave field as desired via a specially designed ISZ filter matrix. In addition, our patent-pending directional EDPL headliner speakers, which form a passive system, can cover the majority of the spectral audio range. The conclusion is that a complete system with system, headrest and directional speakers is preferable, as it provides highly satisfactory CTC (Cross Talk Cancellation) covering the entire audio frequency band. Driver-specific features: Some sounds are intended only for the driver. Navigation prompts and vehicle alerts can now be heard by the driver, with little impact on the other passengers’ listening experience. Hear it your way: Even if all occupants are enjoying the same audio program, each passenger can adjust their listening volume independently – and can even turn it down all the way. Pass it on: Not in the mood for a lengthy debate with your mother-in-law? Just pass the call to her grandson sitting in the back. Declaration of independence: The children in the back seat can listen to an audio book or watch a video while their parents in the front enjoy their favorite music.